Are you a commercial truck driver who received a CDL ticket while driving through Cleburne? Did you receive a speeding ticket while driving in Burleson? If so, you should reach out to an experienced attorney who can help you beat your speeding violation or other traffic violation. I am attorney Jack Byno, and I have been representing clients against traffic tickets for more than 17 years. Contact me to learn how I can put my experience to use for you. I represent clients who received tickets in any city in Johnson County, including Cleburne, Burleson, and Alvarado. I have experience in the local courts and understand how the local judges and law enforcement officers approach each case. 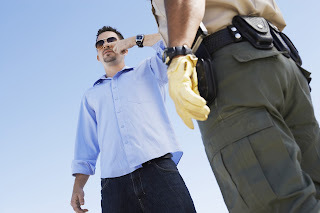 Whether you were cited for a speeding violation, reckless driving, or no insurance, I can help. If you do not live in Johnson County or anywhere in Texas, I can attend your court hearing on your behalf. If you are an out-of-state driver and you want to keep your speeding violation or other traffic ticket off your record, I can seek dismissal of your charge or work to negotiate a deal in court. If you received a traffic ticket for a speeding violation, truck equipment violation, or other traffic violation while in Johnson County, and you want to keep the ticket off your record, contact me. I will discuss your options with you and pursue your goals in court.